The U.S. teams had excellent results at the Pan American Games in Toronto. Amassing a total of eight medals in equestrian competition, the United States was the leader in medals won! Congratulations to the U.S. Dressage team and the U.S. Eventing team on their Gold Medals! The U.S. Show Jumping team earned the Bronze Medal. Steffen Peters and Legolas brought home individual Gold and Laura Graves and Verdadas earned the individual Silver. 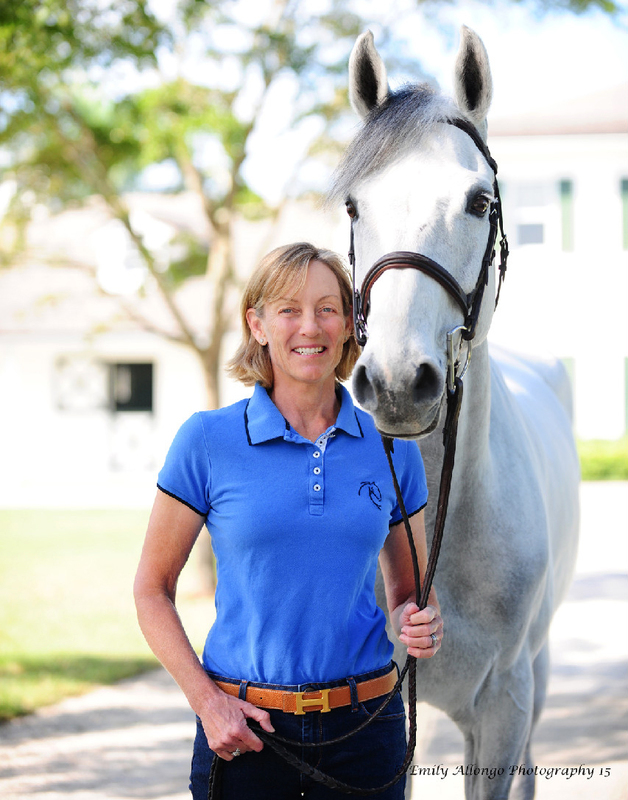 In eventing, Marilyn Little and RF Scandalous earned individual Gold. McLain Ward and Rothchild won individual Gold in Show Jumping and Lauren Hough and Ohlala earned the individual Bronze. Congratulations to all of them! Last month, I attended the North American Junior & Young Riders Championship in Kentucky with my student Caitlyn Connors and her mount Bink A. It is so wonderful for our Juniors and Young Riders to experience a true team class. The pressure is quite different. It was always my favorite class, the Nations Cup. There is simply nothing like riding for your country! We saw some nerves, especially for some of the first timers. Also in the team event, you jump the same course twice. That is also a new experience for many of these horses. If you went clear, can you do it again. If you had a fence or more down, can you improve on that score? It is quite different from the regular horse show. Our Zone 2 kids did well, taking home 4th place. They learned a lot and improved over the 2 rounds. Bink jumped really well in the Rolex Stadium. Caitlyn rode well, better and better each round! Congratulations to all of the Zone 2 Junior riders and horses for a great showing. Congratulations to the Junior team Gold Zone 4, the Silver Zones 5/9 and the Bronze Mexican team! The turn on the forehand, which breaks down bending into its most basic elements, is an exercise to confirm both your understanding and your horse's of just how he should move away from your leg. In this movement, the hind legs turn around the forelegs, in response to pressure from just one leg aid, while the forelegs pivot around one spot. 'Then done slowly, from a halt, the turn on the forehand allows you to "slop the action" and really feel your horse's responsiveness to your leg as well as your own ability to apply just the right amount of leg for the result you want. It also teaches, very effectively, coordination of hand and leg aids. If you apply too little of one or not enough of the other, your horse will tell you right away, by responding incorrectly; but because the movement is performed slowly, you'll have plenty of time to find the right balance. 1. In the halt, make sure you're sitting perfectly straight in the saddle, with your weight evenly distributed over both seat bones and the reins having even contact on both sides of your horse's mouth. His head and neck should be straight. 2. Ask for a turn on the forehand to the left by pressing your left leg just behind the girth. Maintain enough contact on the mouth to keep him from going forward, but no more - you don't want him backing up. Let: your right leg rest quietly against his side, making him think "forward" just a little -only enough to counteract any urge to back. 3. As soon as you get a step to the right, release the pressure for a moment and let him stop. Going one step at a time will give you a chance to think about how much pressure gives you how much response - and will also keep your horse front running sideways and evading the exercise. 4. Ideally, the first time you close your left leg, your horse should simply step away from the pressure by reaching his left hind under his body and slightly across his right hind. 5. The next time you squeeze, he should step directly sideways with his right hind. If he continues to ignore your spur, reach back behind your leg and tap him with your stick. When you ask for the next step, go back to leg pressure alone first, and escalate only if he’s still not listening. 7. Each time your horse takes a step, pause for a second to monitor what you’re doing. Then squeeze again. You should be able to maintain a nice rhythm. One step at a time, just like the walk. Slow him if he starts to rush; liven him up with a little more pressure, a wake up spur, or a tap with your stick if he moves too slowly. 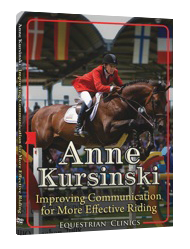 Do not miss this opportunity to ride with 5 Time Olympian, Anne Kursinski. 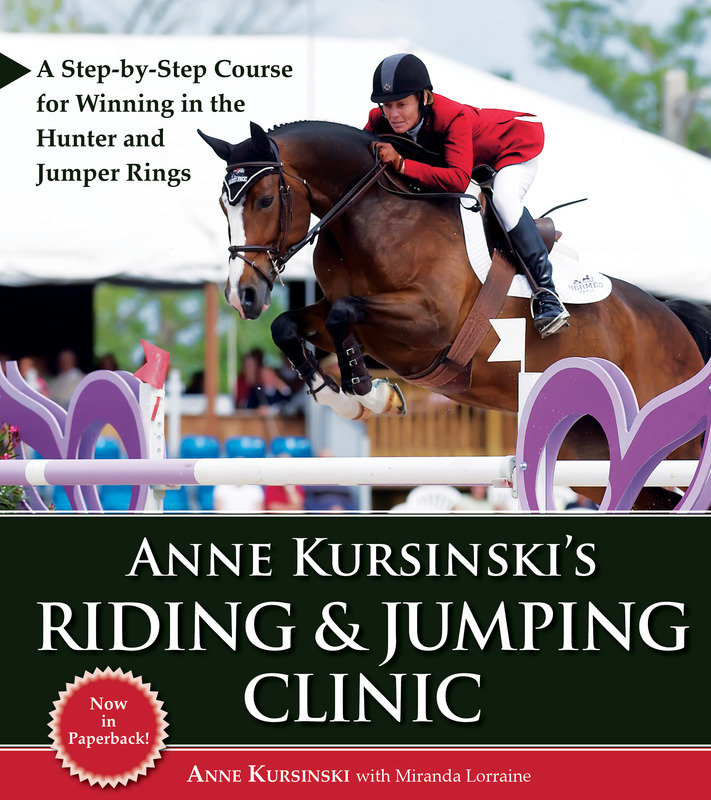 This clinic will be held in our beautiful 10 acre grass Grand Prix field at Market Street. Open schooling will be held in our 10 acre grass Grand Prix field each day. A posted course will be set with options for the naturals. The fee is $50 per round. Watch me teach eventer Matt Brown an exercise that will improve your distances and your horses jump. See a group of young students work to improve their positions, get more supple in their elbows and gain body awareness. Be sure to visit the Ask Anne forum to learn about my fitness routine. Watch me and Motto compete in the beautiful field at Lake Placid on the competition videos page.